Manoush Zomorodi: Has Constant Stimulation Replaced Boredom? With a never-ending stream of stimulation, we rarely experience boredom. But tech podcast host Manoush Zomorodi says we actually need to feel bored in order to jump-start our creativity. Manoush Zomorodi: Has Constant Stimulation Replaced Boredom? < Manoush Zomorodi: Has Constant Stimulation Replaced Boredom? Do you remember when you were a kid, like, in the summertime - and there was no school, and it was hot, and the days would go on forever, and it was so boring? MANOUSH ZOMORODI: So, so boring. RAZ: Do you remember that? ZOMORODI: ...And doing very little. (Laughter) I don't think I've ever told my mother that story, actually. RAZ: This is a Manoush Zomorodi. ZOMORODI: I'm Manoush Zomorodi. I am a podcast host. I am a tech journalist. And I am the author of the book "Bored And Brilliant." RAZ: And Manoush argues that the feeling of being bored isn't actually something people experience anymore. ZOMORODI: I definitely don't think that my children have ever experienced that sensation (laughter). Their minds are constantly being stimulated by STEM camp or, you know, adventure camp and afterschool guitar lessons and, well, iPad games that are allegedly educational. There's always - (laughter) every moment is filled. ZOMORODI: Oh, I check my to-do list. I text my husband. I read the headlines. RAZ: ...Or taking a break from work. ZOMORODI: I go back and check my to-do list again. I answer an email. I maybe play a quick game. UNIDENTIFIED VOICE ACTOR: (As character) Sodalicious (ph). RAZ: It's a relatively recent phenomenon that we'll do almost anything to keep from being bored. ZOMORODI: ...As though this was something to be avoided? Boredom - oh, my God - avoid that at all costs. RAZ: But by constantly preventing ourselves from becoming bored, we actually might be missing out on something bigger. Manoush Zomorodi explains from the TED stage. ZOMORODI: I started talking to neuroscientists and cognitive psychologists. And what they told me was fascinating. It turns out that when you get bored, you ignite a network in your brain called the default mode. So our body, it goes on autopilot while we're folding the laundry or we're walking to work. But actually, that is when our brain gets really busy. Here's boredom researcher Dr. Sandi Mann. SANDI MANN: Once you start daydreaming and allow your mind to really wander, you start thinking a little bit beyond the conscious, a little bit into the subconscious, which allows sort of different connections to take place. It's really awesome, actually. ZOMORODI: Totally awesome, right? So this is my brain in an fMRI. And I learned that in the default mode, that is when we connect disparate ideas, we solve some of our most nagging problems, and we do something called autobiographical planning. This is when we look back at our lives. We take note of the big moments. We create a personal narrative. And then we set goals, and we figure out what steps we need to take to reach them. But now we chill out on the couch - also while updating a Google Doc or replying to email. The average person checks email 74 times a day and switches tasks on their computer 566 times a day. I discovered all this talking to professor of informatics Dr. Gloria Mark. GLORIA MARK: So we find that when people are stressed, they tend to shift their attention more rapidly. We also found - strangely enough, we find that the shorter amount of sleep that a person gets, the more likely they are to check Facebook. So we're in this vicious habitual cycle. ZOMORODI: But could this cycle be broken? Like, what would happen if we broke this vicious cycle? What if we reclaimed those cracks in our day? Could it help us jump-start our creativity? Maybe my listeners could help me find out. We called the project Bored and Brilliant. ZOMORODI: And within 48 hours, 20,000 people signed up, Guy. ZOMORODI: Yeah (laughter). I was like, oh, not a special snowflake - this is a thing. People are feeling this. RAZ: In just a moment, what happens when 20,000 people pledge to stop paying attention to their phones and start being bored? Stay with us. 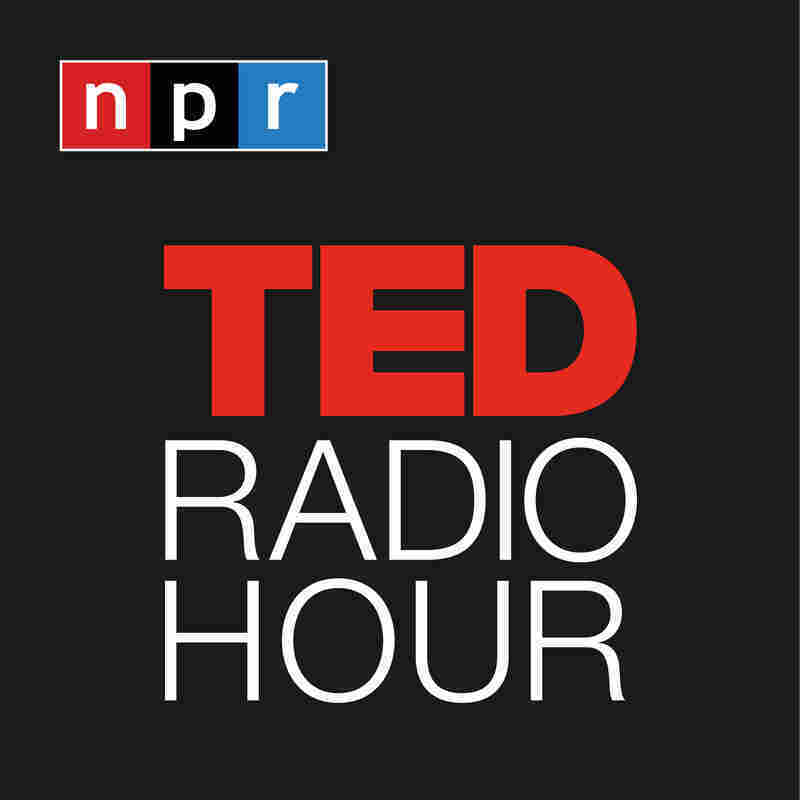 I'm Guy Raz, and you're listening to the TED Radio Hour from NPR. RAZ: It's the TED Radio Hour from NPR. I'm Guy Raz. And on the show today, Competing for Your Attention, what living in an age of constant information and infinite distractions can do to our brains, our culture and our lives. And just before the break, we were hearing from podcast host Manoush Zomorodi, who, on an episode of her show, asked listeners to put down their phones for a week to see what happens. ZOMORODI: So one day, take the app that your thumb always seems to gravitate towards, take it off your phone and observe what it feels like. And then decide, do you want it back on your phone? Cool. Go for it if you do. But do not let the tech companies decide as their decision-making. Don't let that be the default which it very much has become, I think, for consumers. RAZ: So out of the tens of thousands of people who signed up for the challenge, some of them called her up because they started to realize that their relationship with their phone had kind of become co-dependent. UNIDENTIFIED PERSON #1: The relationship between a baby and its teddy bear, or a baby and its binky or a baby that wants its mother's cradle when it's done being held by a stranger, (laughter), that's the relationship between me and my phone. UNIDENTIFIED PERSON #2: I think of my phone like a power tool - extremely useful, but dangerous if I'm not handling it properly. If I don't pay close attention, I'll suddenly realize that I've lost an hour of time doing something totally mindless. ZOMORODI: OK. But to really measure any improvement, we needed data, right? 'Cause that's what we do these days. So we partnered with some apps that would measure how much time we were spending every day on our phone. And if you're thinking it's ironic that I asked people to download another app so that they would spend less time on their phones, yeah. But, you've got to meet people where they are. But when the data came in, it turned out that we had cut down on average just six minutes, from 120 minutes a day on our phones to 114. Yeah. Whoop-dee-do (ph). RAZ: So it's amazing that you got so many people involved, and then looked at the data and it turned out that people just saved six minutes a day, which is sort of, like, deflating, right? I mean, after all this effort, people are only saving six minutes a day, which tells us something about ourselves. ZOMORODI: Yeah, I mean - well, first of all, it tells me that I have been trained to expect 10x returns, right? Like, you know, we expect these huge numbers, and I thought six minutes was nothing. But when I went back to the scientists and researchers who were advising me on this, they - I'm not joking. They laughed in my face. They were like, who says six minutes isn't significant? And, frankly, like, you know, the fact that you got people to change their behavior at all over a week is extraordinary. And listen to the stories because the stories will tell you so much more than any data can. And that's what people told me. They told me stories about how they realized they used to relax by playing their guitar, and that they suddenly understood that they hadn't played it in years. Or, things bigger than that, that people had sat down, just thought about what the family dynamics were and get to a better place in their relationship. There were all these amazing stories that people told us. And I thought, you know what? You're right. F the six minutes, right? ZOMORODI: Or, like, let's stop giving boredom such a bad rap. It actually is an extremely important human function that we are starting to just sort of breed out of our daily lives. And I sort of look around, and I see there's lots of things like that. Downtime, eye contact, conversations out loud where people stutter or make mistakes or take more than a quick, you know, 140 characters to figure out what they want to say. We've lost the capacity in many ways, I think, for patience. If we want to have excellent ideas, the best ideas, we need to let them take the time to take root and then blossom, and that does not happen in a tap of an app. ZOMORODI: We're humans. We need time. And that's the one thing that our phones can't give us more of. RAZ: Manoush Zomorodi. She's a podcast host and co-founder of the media company Stable Genius Productions. You can see her full talk at ted.com.